So today, I was going to turn what had become a disappointing day into one, my grandson might just remember long after we are gone. This would be his first visit to the Museum of Natural History in New York City. As you can see from some of these photos, Reid loved the exhibits. He couldn’t get enough and looked in wonder at the huge animals, close up and very personal. As you can see from the expression on his face, the size and look of the tiger, well, took him a bit off guard. We all had a wonderful time visiting the many exhibits that haven’t really changed in over 60 years. 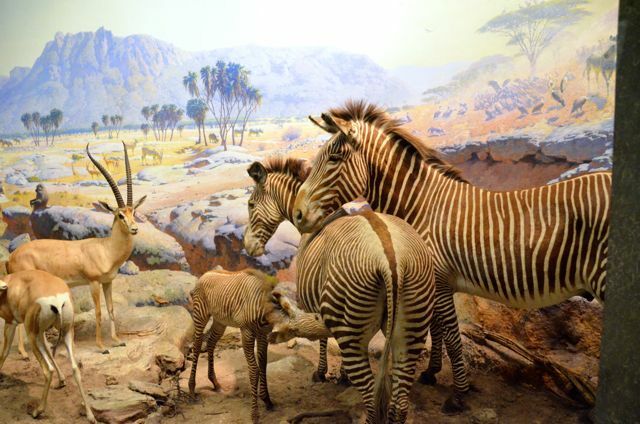 After all, millions of people visit the museum each year and keep coming back to see all the animals that they have only seen in books, television or in the movies. As we passed the African Mammals exhibits Reid would roar like the Lions, growl like the Bears and even squeal like the monkey’s. As you can see in the photos and this short video, he loved it. We had a wonderful day and will be sure to return on another day when we have more time. Being a journalist, I should have understood that sign, but even I am confused. It is not always clear on many of these parking signs in New York. 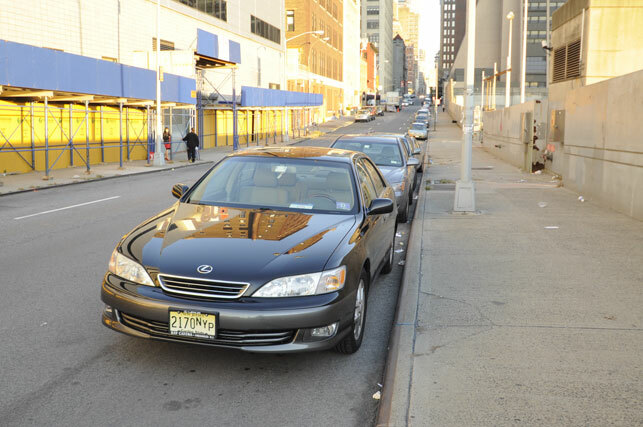 I am sure many people that see parking for NYP plated vehicles may also find that confusing, after all does NYP stand for New York Police or New York Press…or possibly something else? 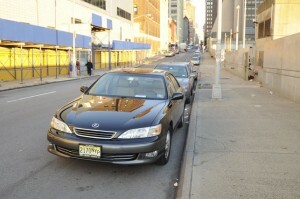 My car near the Jacob Javits Center in a NYP Parking spot. As we were ready to leave the space at around 5:30 PM, other cars were trying to pull in behind us in other empty spots. Another driver pulled up so see if we were leaving so he could take our spot. I showed them the summons and pointed to the parking sign and explained that these prime parking spaces were not legal. The market was now closed and all the vendors had gone, but parking was still not legal until after 7 PM that day. New York is a wonderful place to visit. Green Markets, no matter what city you are in are a must for anyone interested in keeping healthy and enjoying freshly picked fruits and vegetables. So I will continue to travel around New York and report about some of the other exciting and interesting places you should visit. 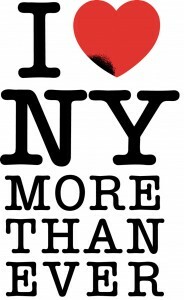 It still amazes me when I speak to people I know in New Jersey that very rarely visit New York City. I suppose many people never really appreciate the wonderful places they live in and the many things available for them to see and do. We tend to take things for granted and yet, we will spend thousands of dollars and travel thousands of miles to another destination to see places and things that are not available in our own backyards. I have lived in New York and New Jersey for 70 years now and still love to go into the Big Apple and visit some of the places I did as a child. Now I have to pass the baton to my grandson and hope he will remember when his grandparents used to take him to the city and maybe remember the first time he visited the American Museum of Natural History. At least he will have the photos and videos and maybe my articles to see when he gets older and will show them to his children.